If you treat Medicare patients, you and your patients likely value the relationships you’ve formed. As Medicare continues to change how it pays physicians for beneficiary care, it would be helpful if the program knew about and honored those relationships, right? Up to now, there really wasn’t a way for patients to declare to Medicare who they looked to for their care. In some cases, patient assignment and attribution have been decided based on such things as historical claims data. But that could be changing. Fee-for-service beneficiaries can now log in to MyMedicare.gov(www.mymedicare.gov) and select the physician or other health care professional they believe is responsible for coordinating their overall care. 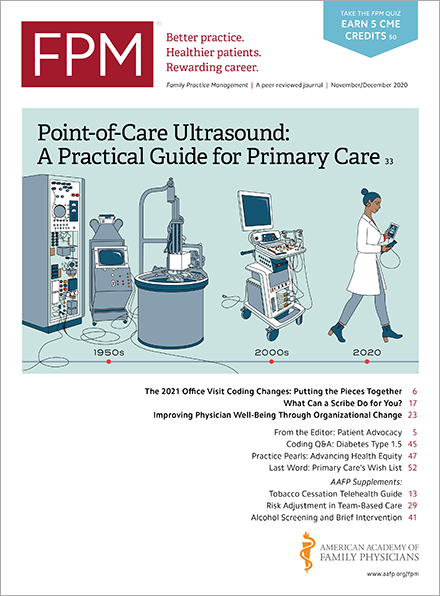 The Centers for Medicare & Medicaid Services (CMS) said it believes this process, also known as voluntary alignment, will strengthen beneficiaries’ engagement in their health care and empower clinicians to better coordinate care. CMS will begin using beneficiary selection in Performance Year 2018 to hold physicians who are in Medicare Shared Savings Program Accountable Care Organizations responsible for the quality of care and overall medical costs. Other, future uses of voluntary alignment are unknown. In the meantime, CMS emphasizes that selecting a primary clinician does not affect the beneficiary’s benefits or the beneficiary’s ability to go to another physician for treatment. It also does not change Medicare Part A or Part B billing and payment policies. Whether voluntary alignment actually makes beneficiaries more engaged in their care or encourages clinicians to better coordinate care is debatable and likely requires additional factors to be successful. But it is a first step, and it begins with your Medicare patients knowing about their ability to go online and designate you as their primary physician and then doing it.